Home » Tutorials » [VIDEO Tutorial] Learn the Crochet Waffle Stitch Today — Perfect for Blankets, Afghans & Scarves! This stitch creates a beautiful texture and it’s easy! You might be thinking complex, difficult, tough to master, but such is not the case. You can learn this beautiful crochet stitch today, and get started with your next project, whether it be a warm and comfy super scarf or an afghan. Yes, just as the name implies, this stitch creates a texture that’s reminiscent of your morning breakfast waffle. It’s the perfect stitch for those fall and winter projects that you tackle on the weekends. The good news is that this stitch is repetitive and it’s perfect for multi-tasking and binge watching. 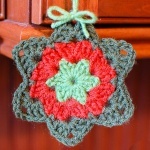 You can have a great crochet project completed in a relatively short time! If you’re planning to tackle your yarn stash this is perfect, too! You can learn this wonderful stitch immediately with this excellent free video tutorial. 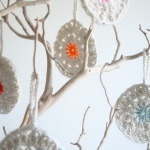 It’s by crochet designer and blogger Olivia Kent of Hopeful Honey. You’ll also find some tips and pointers and written instructions along with her YouTube video tutorial. And for even more free video and photo tutorials for crochet stitches and techniques be sure to scroll down for the links to previous features here at Crochet Maze!